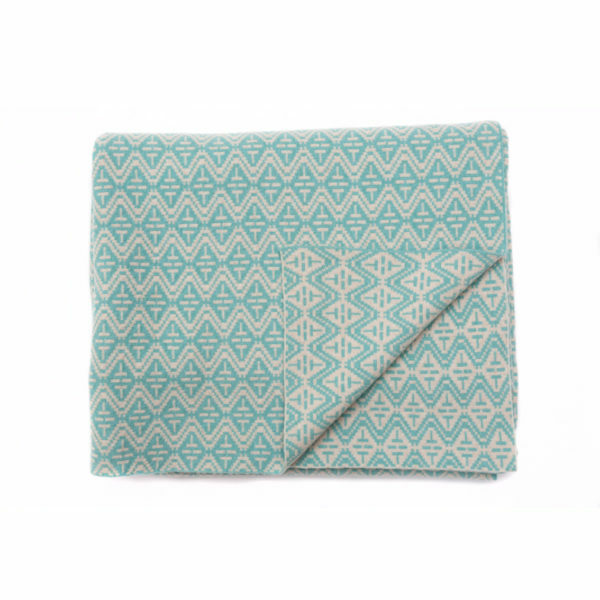 A beautiful luxurious lambswool blanket – perfect for bedroom, living room or garden space. 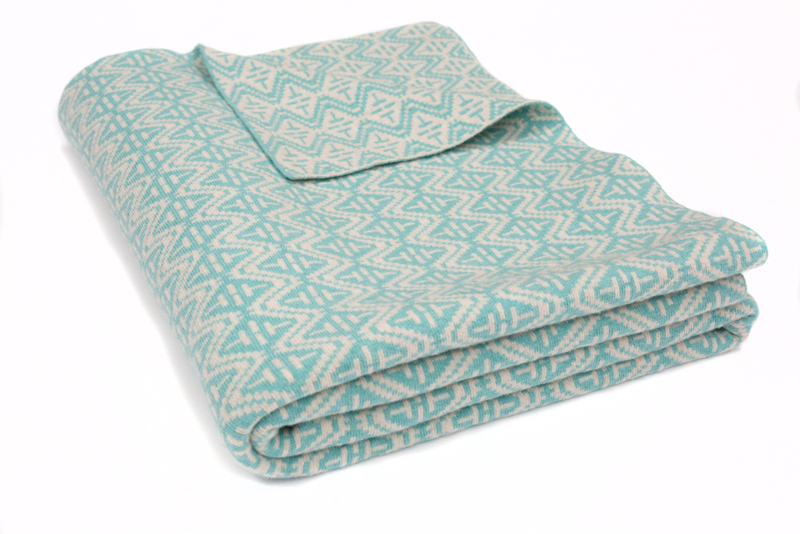 This large lambswool blanket can sit at the foot of a double or kingsize bed, or possibly across the back of a sofa. 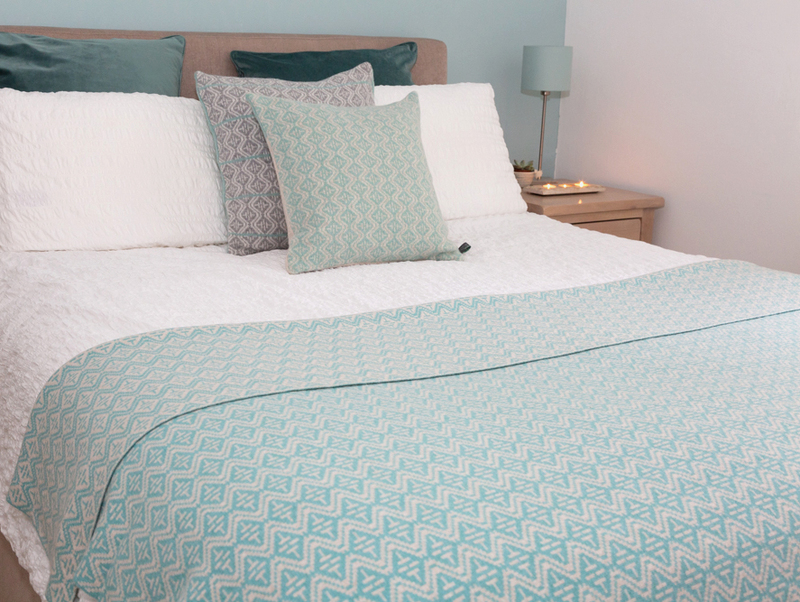 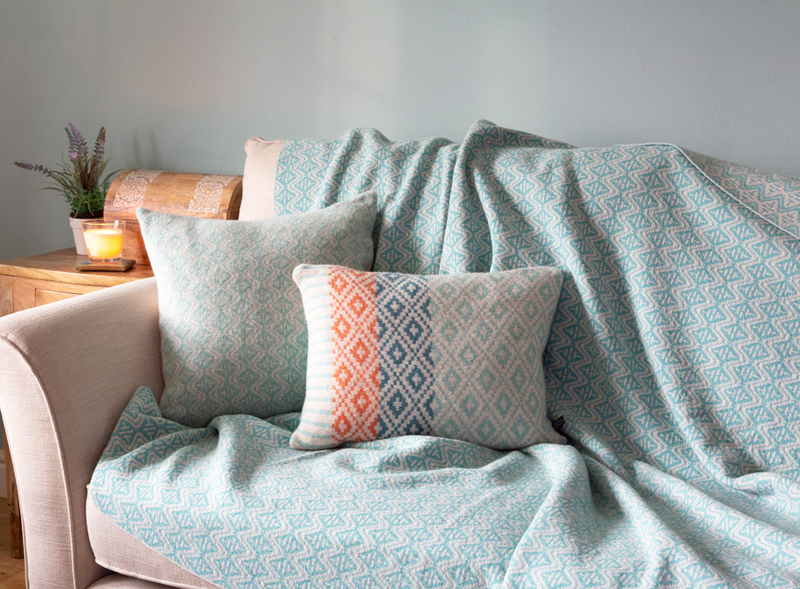 Its beautiful soft weight will drown you in luxury – perfect to cosy up on a chilly evening. Inspiration for this fluid pattern comes from Moroccan tile prints and ceramics combined with artworks of the great William Morris. 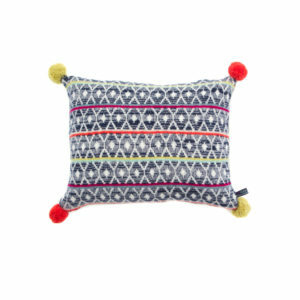 Made from the highest quality lambswool yarns, this is a true contemporary statement piece to add to your home. 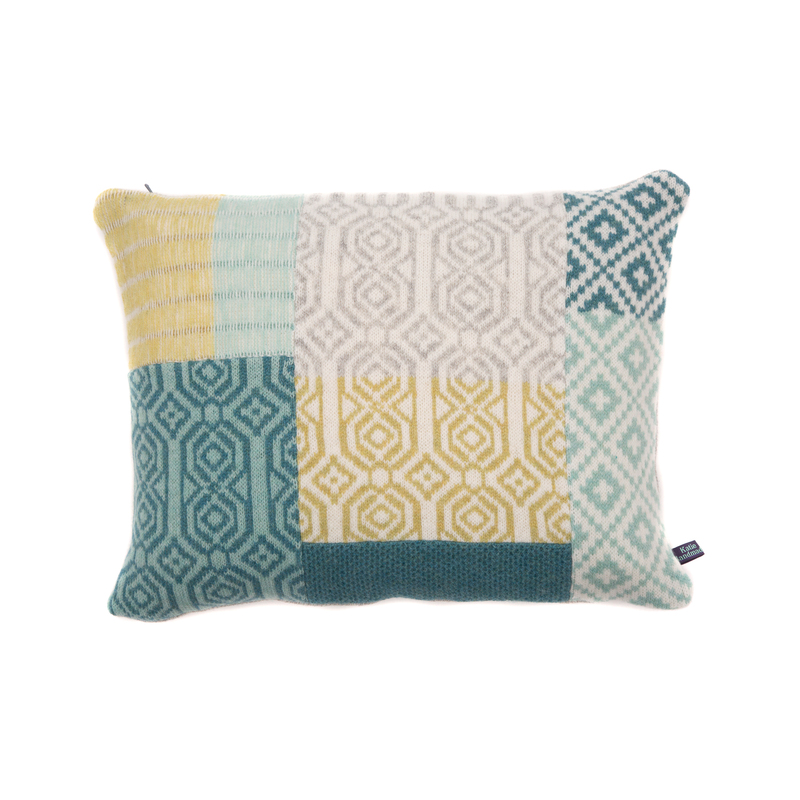 A gorgeous treat to yourself or as a gift to someone very special. This blanket will come to you wrapped in tissue paper and ribbon. 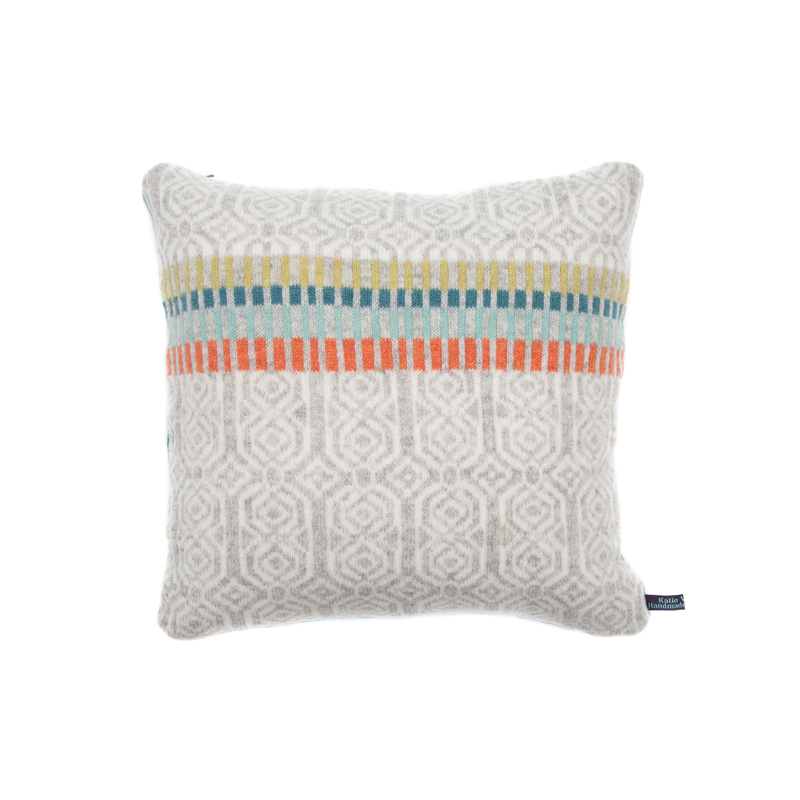 Designed and hand finished in Wales – Knitted in Scotland.